"I would like to thank over a thousand residents in the Uptown area who participated in the zoned residential parking process. I had really great conversations about transportation in general, but specifically transportation and parking issues in your neighborhood. Two neighborhood groups, Magnolia-Malden Block Club and the Clarendon Park Neighborhood Association, voted overwhelmingly (both 73%) to institute residential zoned parking on their streets. The streets included for Magnolia-Malden are: Magnolia, Malden and Racine between Wilson and Lawrence and Leland between Malden and Broadway (except for existing metered spots). 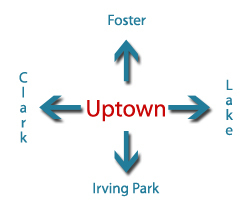 The streets for the Clarendon Park Neighborhood Association are: Windsor, Sunnyside and Agatite between Montrose and Wilson [we're pretty sure this is supposed to say "Clarendon and Sheridan" instead] and Hazel between Montrose and Wilson. These signs will be posted with the active start date in the coming months. 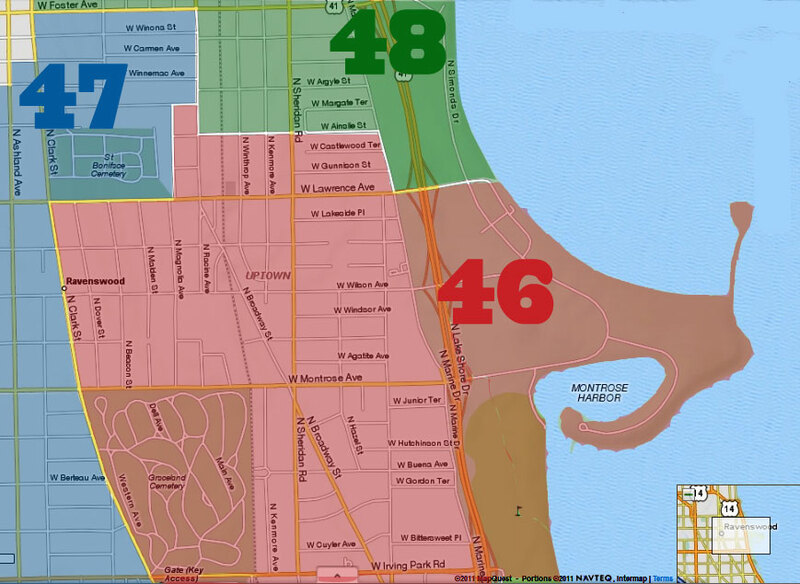 All other neighborhood organizations voted against having zoned parking in their areas or were on the border of a neighboring ward (we will not zone half of a street). However, if you and the neighbors on your particular street are interested in having zoned parking, you can download a petition form here. Again, thank you all for participating in this successful process. If you have any questions about parking in your neighborhood, as always, please feel free to contact my office at any time." I don't recall the exact number, but a percentage of residences within the proposed parking zone have to vote for the zoned parking in order for it to get approved--it isn't just a handful of people on a block, and the voting isn't just something off the cuff. 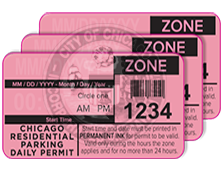 If someone doesn't want to pay to get the zone parking permit, that's their prerogative, but they will get ticketed for parking in the zone without a permit. They can park somewhere else outside the zone. What zone parking does it create the ability for residents to park near their homes without having to drive around for 30 minutes to find a spot three blocks from home--it keeps people who are going to the beach or to a concert or the bars and restaurants for a couple of hours from parking in a residential area and encourages them to use paid parking instead. Bear60640, I completely understand the point and benefit of permit parking and that was not the point of my comment t. I've lived in Lakeview and Lincoln Park in the past. The issue is that we already have the issue of having to drive around in Sheridan Park to find parking especially at night or in winter. I've parked on pretty much every street in order to find parking in the neighborhood. How does putting permit parking on half of Sheridan Park's streets help? As I said it seems that doing it on Malden and Magnolia and not Beacon and Dover punishes those on Beacon/Dover/leland(west of Malden) regardless of how they voted. We have limited parking in the area with retail to the west and cemeterys north and south. It should have been all of Sheridan Park or none of it. I believe there was clarification that the vote was not determined by a certain percentage of area residents, rather a certain percentage of voters. So essentially if 15 people voted and 10 of them were “yes”, they determined the vote for the whole block club. From our newsletter: 65% of voters must approve to get Permit Parking passed. Great news! But my city sticker expires at the end of August. I wonder if I will be able to get a zone sticker by then. I believe it is printed right on the CIty sticker. you can get a replacement sticker if you bring your current sticker into a city clerk office. 1) According to the link 65% of City stickers need to sign the petition? Where was the petition and how is this validated? 2) It's great that people will have to get a City sticker, but the enforcement is the issue, CPD Officers have a lot more to worry about then to be looking for violators of parking permits. Yes the ticket writers may come through, but all they do is write a ticket. The vehicle isn't towed and a spot opened for a permit holder. 3) What will the City and ward be doing with the additional revenue from the sticker fee and fines? 4) When is this presented to the City Council for final approval?